Whilst in London last week, we took little breaks from our photography briefs for project work, to explore the city and take in some design inspiration. 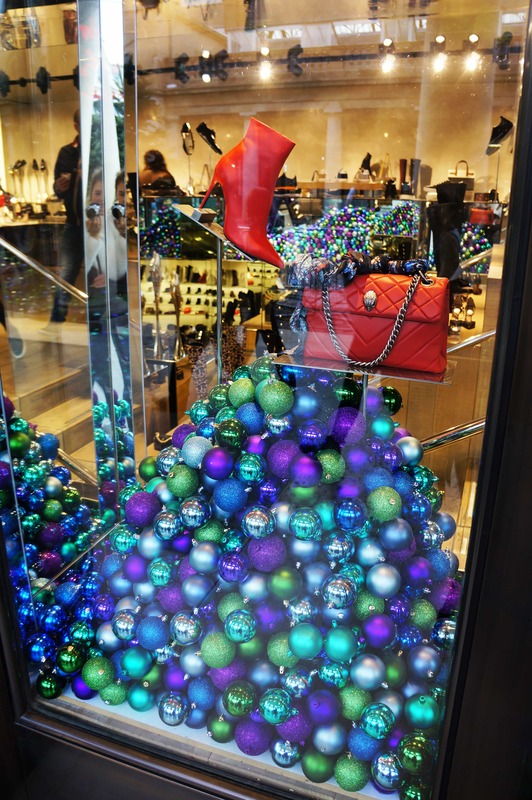 Looking for creative window displays and interesting takes on in-store retail design was our key target. 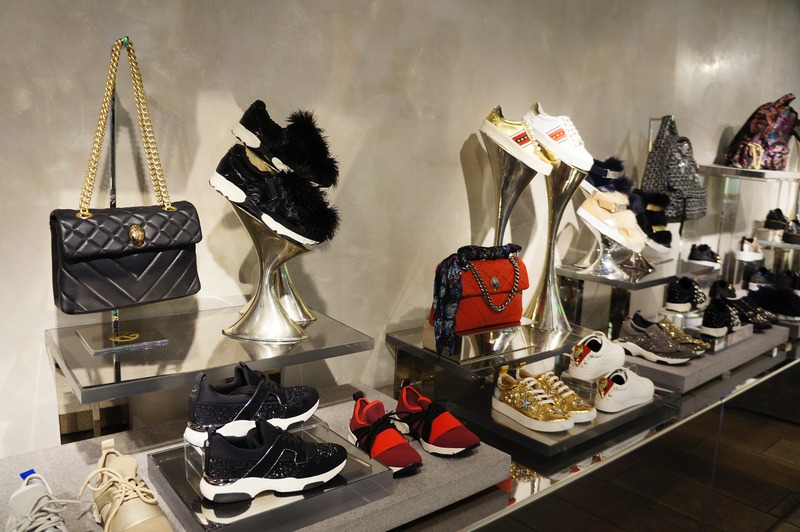 We came across a few exciting displays - one that stood out from the rest was the Kurt Geiger store. 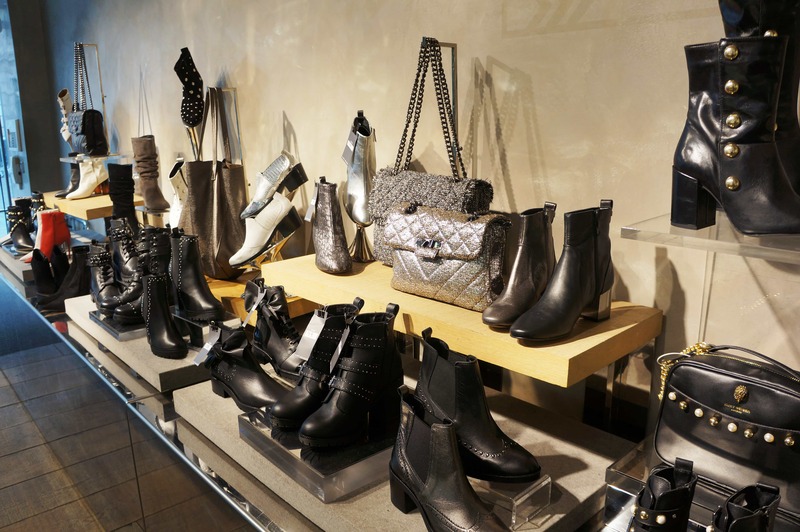 Due to its prestige and well-known luxury designs, it was unsurprising the find the brand situated amongst the premium but busy streets of Covent Garden. 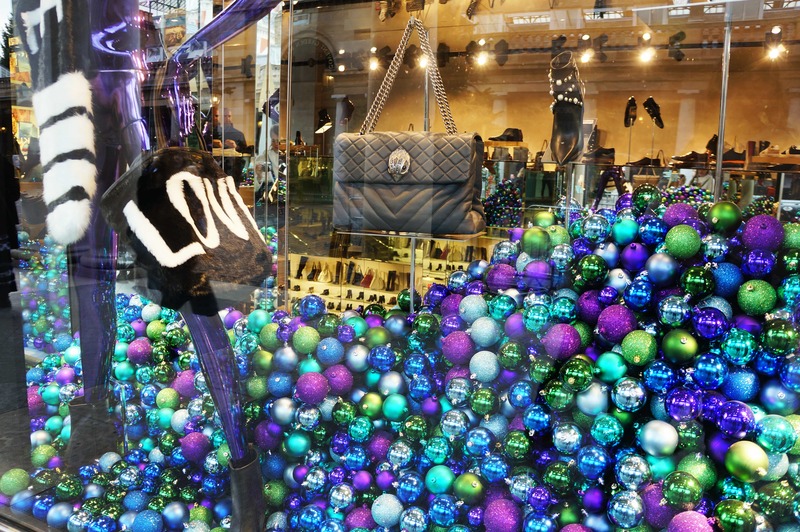 The window display caught our eye with the metallic baubles in striking blues, purples and greens. The metallic high-shine elevated the festive theme whilst also maintaining the premium nature of KG. Mannequins, with sassy model poses, stood proudly within the window displays presenting multiple bags of their current range; like us when we've finished our London shopping spree. Wearing a fur wrap-around emblazoned with LOVE, the second message was a blunt but eye-catching CRAVE; applied to the window as a white vinyl. Taking a deep dive into social media, we can see their festival hashtag this year is #CraveKurtGeiger - focused on customer engagement, especially when it comes to drawing up Christmas wish lists. Ours is the whole store, please. In a smaller window, the bauble composition is the same, but this time the edgy 'Ride' boots and Kensington cross-body bag (both in a sultry red) take centre stage. Another side of the window display offers a posing mannequin, dropped to one knee and leisurely highlighting the thigh-high red suede boots she is sporting. Not forgetting the gorgeous crystal effect bag which hangs off the shoulder. Being such a prestigious brand, the display of the shoes is very important. The displays vary between acrylic, marble effect stone and mirrored blocks with shoes presented on different levels, at varying angles. It's eclectic, it's almost disconcerting and it makes for an interesting store visit. 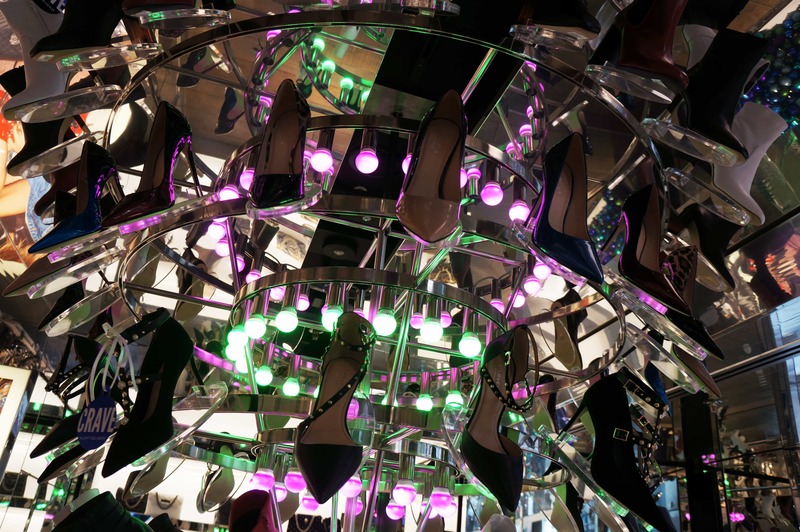 If no one knows Kurt Geiger well, they are well known for their flamboyant product displays at a height. 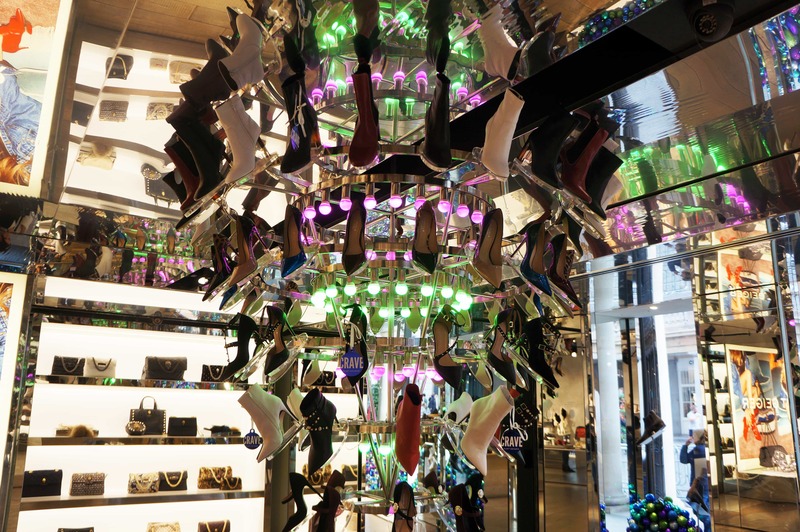 This time, their shoe display takes on the appearance of an edgy Christmas tree, created of a metal and LED light structure suspended from the ceiling. 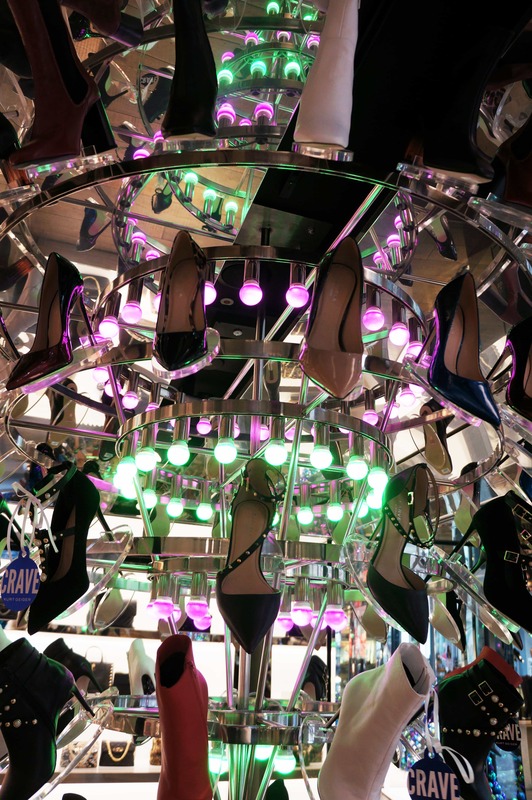 Footwear is placed in slots in the metal, with LED bulbs highlighting the shoe from behind - extremely eye-catching. 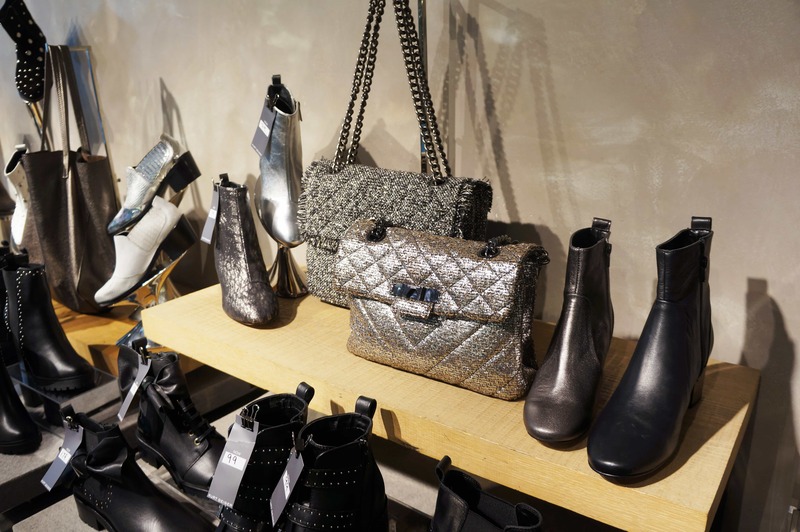 Even though the festive season is just becoming, Kurt Geiger have already stepped into the lead. Whose going to take them on?